Although we call search terms keywords more than likely searches will consist of phrases instead of single words. This may cause trouble for some that want to focus on broad general root keywords. For example, a graphic designer wouldn’t focus on the individual words graphic or design because they do very little to describe what it is they are selling. When deciding on what keywords to focus on for your SEO strategies, you need to answer the most basic question, what are we selling. Although it might seem better to use the most broad terms as possible, focusing on phrases that actually describe your business will help with more focused results that will actually convert to sales. Vanity keywords are very broad keywords that usually return lots of results. You need to focus more on lots of smaller more defined keywords that match the product or services you are selling. For example, if you run a computer retail store you wouldn’t want the keyword computers because it would return hundreds of results. 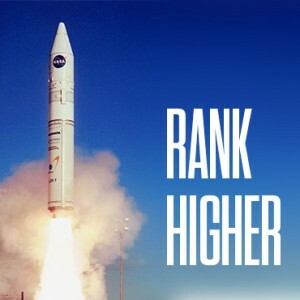 And unless you are a large national retailer you will not be ranked very highly. Instead you want to focus on words like desktop computers, laptops, televisions, Ipods, etc. By focusing in more on the actual products there is a much better chance that his ranking would come in higher and that the traffic it generated would be more likely to result in sales. The Wonder Wheel can be accessed by doing a search and then selecting “Wonder Wheel” under the filter options on the lefthand navigation. It’s a tool that gives you a visual representation of the way Google groups together particular keywords. This can help you identify other relevant keywords to focus on. This can also give you an idea of how people are searching for products that you sell. This can help you when you are building the content for your site, now you can know what information you should be providing to on your website. There is no problem with repetition in the keywords that you use but you should aim to use differentiated phrases so they mean different things. For example our graphic designer could use the keywords business card design and business card printing. Although they are similar they indicate a difference in the content included on the page. In many cases business owners build a website, create their content, then do research about the keywords that will drive traffic to their pages. However, when we research the keywords associated with the products being sold then create content revolving around those keywords we can be much more successful. If we know the keywords and phrases customers are using to learn about our products we can gain insight into the information that they need in order to make a purchase. You can then start to build content for you site that provides that information. This way you can attract visitors and more likely convert them into sales.